The Boston Pops, the laid-back version of the Boston Symphony, had a go-to composer for all that lighter fare it played, Leroy Anderson. Remember “Sleigh Ride”? Composer Gary Fry has served a similar role for the Chicago Symphony for its holiday concerts since the mid-1990s creating arrangements for the ensemble. 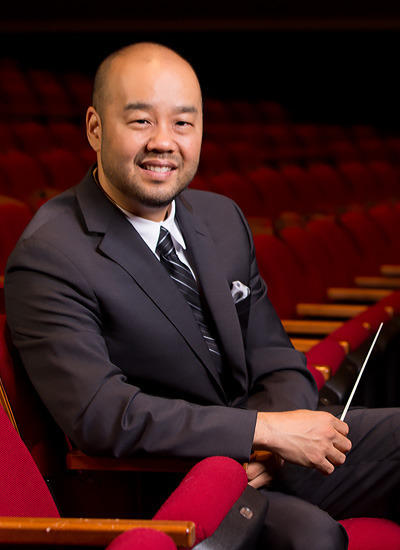 His practical experience showed in a piece that conductor Lawrence Loh commissioned for the West Virginia Symphony and the Appalachian Children’s Chorus (Selina Midkiff is its music director). That piece had its premier performance on the orchestra’s concert Saturday night at the Clay Center’s Maier Foundation Performance Hall. In “Appalachian Suite,” a setting of nine folk songs from West Virginia, Fry showed a mostly deft touch with young voices and orchestral scoring. The result was an amiable piece that displayed the excellent work of the singers neatly. The piece began with a couple of Stravinskian thumps followed by a brief solo from concertmaster Anton Shelepov. The chorus entered with “How Can I Keep From Singing,” which had a whiff of Celtic rhythm while the orchestra struck with martial flourishes. A brief unison line for the chorus minus any orchestra drew the movement to a nifty end. “The West Virginia Hills” moved slowly with a gradual crescendo before it faded to silence. “Listen to the Mockingbird” sounded like a 1940s-era film score with bits of woodwind birdsong. The woodwinds were fine, almost like a tonal, less entropic version of Messiaen, but the rest sounded dated. Not so “Old Dan Tucker” which was rhythmically fresh and featured some harmonic spice. “Turkey in the Straw,” for the orchestra alone, featured a burst of energy in percussion and busy, witty passage work for the violins and winds. “This Train” chugged along airily and coupled easily into a great bluesy setting of “John Henry” that featured a stylish quartet from the chorus accompanied by metallic thumps and tasty harmony from the orchestra. “A Poor Wayfaring Stranger” opened with the chorus in harmony while concertmaster Shelepov embroidered a countermelody. “Keep on the Sunny Side of Life” was the only movement that I had trouble hearing the chorus. At the climax the orchestra was overwhelming until a moment where Fry had created little breaks in the texture. There the vocals sounded through clearly. That is a minor complaint in a performance where the chorus was vivid in tone and exact in diction and rhythm. Except for that miss in the final movement, Loh shaped the performance aptly. The first movement alternated between dark foreboding and luminosity. The passages that slip into major keys were sunlit. The scherzo was forceful, but with that lean rhythm. 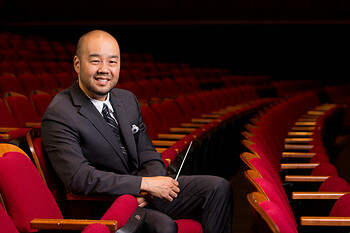 The three-note rhythmic motif (say Superman with a pause between the first and second syllables) bounced through the orchestra with elan, guided by Matt Larson’s dynamic timpani playing. The trio, with its surprising shift to duple meter, featured glowing winds, horns and strings. The vast variations of the slow movement were lucid yet full of fantasy. The equally vast finale (another big set of variations) drew on the choral forces of the Symphony Chorus, the West Virginia University Chamber Singers, the West Virginia State University Chorus, the Fairmont State University Chorus and the Marshall University Chamber Singers along with four vocal soloists. Soprano Alexandra Loutsion sounded full-voiced and managed not to sound too labored in the tortuous high range that Beethoven wrote for the soprano (that’s high praise). Mezzo-soprano Elizabeth Baer, who has excelled in the many times she has appeared with the orchestra, brought her concentrated tone and dash to her part. Tenor Scott Ramsey sang adroitly in the Turkish march variation and emphatically in the florid high parts. Baritone Reginald Smith, Jr. had a rich voice that cut through the busy counterpoint that piles up as the piece moves to its climax. His initial recitative sounded a bit wayward in the low range. Loh did his best work here drawing clear textures from the orchestra that let the voices speak with clarity. The fugue near the end was a vortex of crisply etched details. The large crowd responded with a lengthy ovation.